Woodinville is preparing itself for the traditional right of Spring with Passport a two day wine fest. This year Woodinville Wine Country held a Passport pre-function an evening of Reserve wines held at Columbia Winery on April 12th. 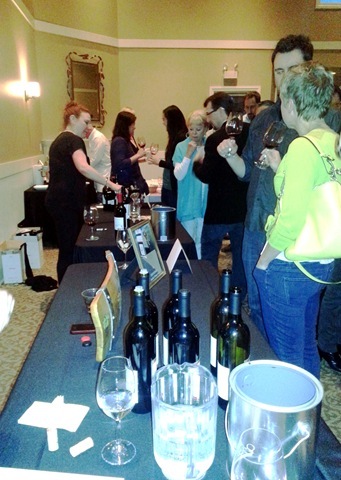 40 wineries with wines rated over 90 points poured their finest to a full house of adoring fans. The Reserve served up a nice prelude to Passport 2013 which will kick off this Saturday, April 20th, at Noon and will run through Sunday, April 21st, until 4pm. This is my short list and I can guarantee the wineries listed won’t disappoint. So many great wines and so little time. What is on your 2013 Passport itinerary?